8. Observations on the antiquities historical and monumental, of the county of Cornwall. Consisting of several essays on the first inhabitants. language. By William Borlase. 10. 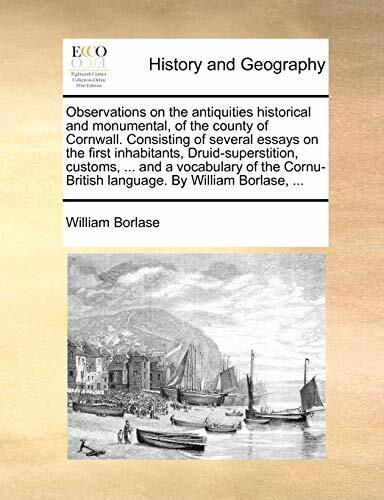 Observations on the antiquities historical and monumental, of the county of Cornwall. Consisting of several essays on the first inhabitants, . language. By William Borlase, .